Maybe you are riding your bike, or you are in the shower, or you cannot fall asleep at night, or you are out with a friend doing something, and suddenly you look at something and zap an idea strikes. You realize that you have an excellent idea for an app. Now you are building up the momentum and thinking; everyone will want your app, you will have millions of users, and you will finally sell it to Google or Facebook for billions of dollars. Well, it’s all a fantasy🤩 as it never pans out that way. Don’t lose hope, anyone can come up with an idea, but the problem lies in what to do next? How to proceed and perform smoothly in each stage is something on what the success story depends; all you need is to go about it the right way. Everything lies in the execution, don’t think that your idea is worth millions of pounds until and unless you’re executing it properly. There are chances that in a populated country, others can have the same idea too. Without execution, your idea will remain an idea. The better the implementation you come up with, the more is the value of the app. It might seem out to be a tough task but going step by step is a necessary part of it. Anyone can come up with an idea but how is it executed is the most important thing. One can have the best app made, but it’s of no value if it remains just inside the head. So, go ahead and take the initial step and figure out how committed you are towards your idea and start the execution. Execution at each stage might not be smooth, but, at last, it will be worth all your time and efforts. Bringing an app into the market is not easy, coming with the idea might seem tempting but it requires a lot of effort. The first thing which is of significant concern is how determined are you with your idea. One has to take high risks for developing an app. Bringing an app with proper design and launching it into the market could be a turning point in one’s life, but at the same time if you don’t care towards it, then you might lose a lot of money as well as time working in it. These questions must be answered before transforming your idea into an app and bringing it into the market. Is your app relevant to your idea? What is the maximum time you are looking forward to investing in the development of the app? What would be your financial investment towards this app? Would you take yourself as a failure if the app fails? Presently, there are more than 2 million apps in the app store and more than 2.5 million apps in the play store, so it’s quite understandable, that your app will also be just like another needle in the haystack. To achieve long-term success, you must make your app unique. Giving your app a single touch is the only way to make your app recognizable. It’s not required to create a one of a kind app to make it unique, but you must make it distinct from the crowd. Sometimes it’s the way an app looks that catch the attention of the readers or viewers. Either the most simple one or the craziest one can do magic. To brainstorm, you must answer these questions below. Does your app have what the users want or need? How is your app going to help its users? How is your app going to provide the solution to your users’ problem? After answering these questions, you can get creative and work on your app idea. Just keep in mind to keep your brand in line and highlight all the core points, what makes you different from your competitors. It would sound unrealistic if you say that you’re better than all the other solutions available in the market. All you need to understand and do is to focus on what makes your app different. One must remember that you are not just building an app, A product as well a business is being launched in the market. 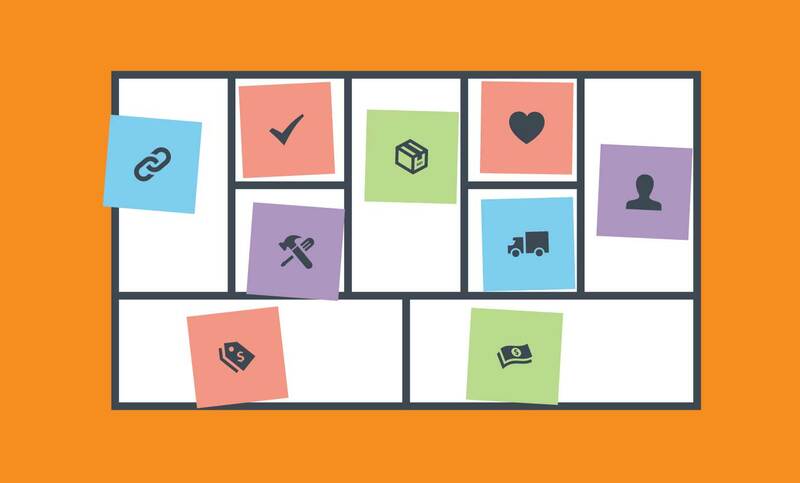 A business model for apps is the most crucial part of the whole process. You do not need to worry a lot if you are starting the business, but you need to keep in mind the basics and how would they work collaboratively together. All you need is just to put down some notes in each box figuring out what will be the best for your business. Once you have all the ideas out of the box, it can help you out to talk to your potential customers so that ideas can be validated. Getting the design onto paper might not sound appropriate, but it is one of the first steps of checking out all the pieces of the project and determining what your needs are. If the creator would not know about his needs, the developer would also don’t know about it. The more briefing you do about the project, the better the knowledge you gain about it. 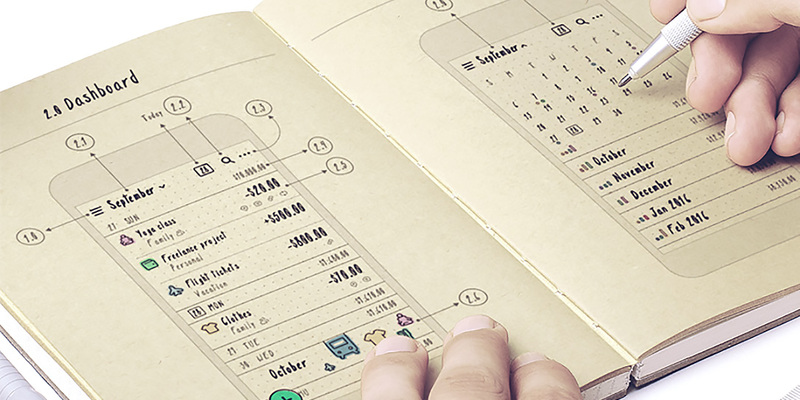 It can be easy to schedule your mobile app budgeting and set up a level what you expect from the project. After you get all the ideas out of your head, you will be able to tell your readers or viewer about it more briefly. Creating a wireframe is like making the first pencil strokes while sketching. The wireframe will help you think your app idea through, and you will understand how your app will look like, and it will also reveal the complexities involved in converting your app idea into a full-fledged app. An RFP- Request For Proposal is a document used when you encounter a problem, and you don’t know how to solve it. Well, when your idea is about an app, then you probably don’t know how to develop it. Having a written framework or the idea in a written form describing the critical functionalities of the app would be of great help when you approach the mobile app developers. The app developers or the app development company whichever you prefer will help you to transform your idea into a concrete plan. It will be best if you create an actual UX/UI interactive prototype package as it will save you months of work and thousands of dollars and meanwhile it will reduce the chances of error in the finished app as well. All the animations, features and navigational elements will be predefined, and your developer will be on the right track from the beginning. For developing an interactive prototype, you should Hire Someone To Make An App For You. He/She should be able to guide you on this subject. You can always add your ideas later to the app that you have thought of creating. But try to make a simple app as it is more accessible, cheaper, provides a clear sense of the need why is it made and it is faster to build. One of the main reason for failure comes when you put down all your mobile app ideas into one, and it ends up spoiling the project and your app too. Lighting a new company on the market is no small feat. 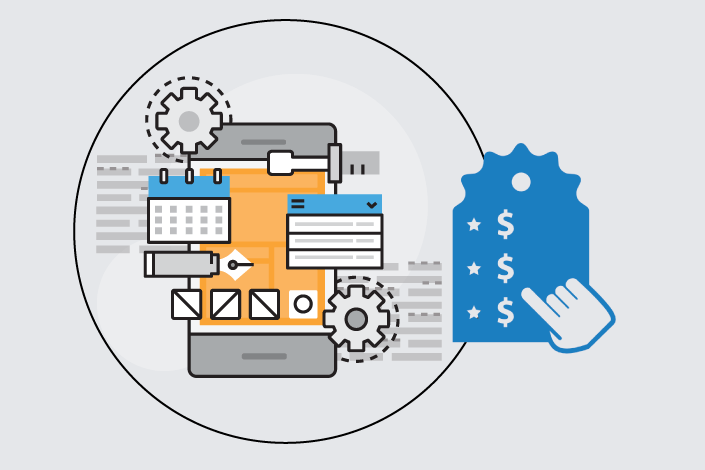 Your app and its performance would highly rely on the team you create. In a competitive world where the competition is fierce, one should have at least two or three co-founders on board who will be able to take on different aspects of the business such as marketing, software development, managing finance, and project management. It will give you many hands to ease down the workload to a considerable level. The person with the idea and who sees the grand vision behind it. Promotes and foster relationships while focusing on day to day operations. The person(developer or team of developers) or the mobile app development company who will develop the application for your business. The person who will do constant research to figure out what the users want after analyzing the user behavior. Should you create an app in Android platform or iOS platform or Windows platform or all the platforms? Where will the release of the app take place? What category of the app does it fall? When it comes to mobile app development, people and businesses are often confused and face a lot of misconceptions about transforming a website into a mobile app. The most common challenge faced by companies, entrepreneurs and startups are – what should they choose? 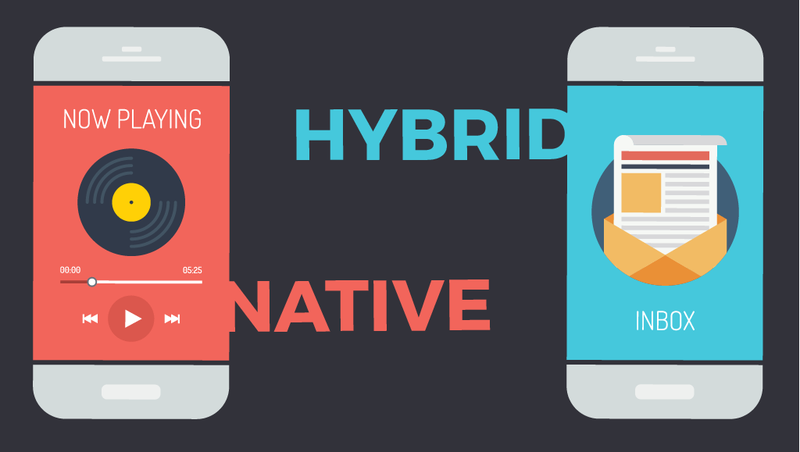 As a business or entrepreneur or startup should you build a mobile web, native or hybrid app? To help you make the right decision and to find the right approach to your app idea, let’s take a gander at all the differences between the mobile web, native and hybrid apps along with its pros and cons. If your idea or business does not require complex features and functionalities then developing a web app can be a reasonable and inexpensive option. The mobile web applications are inexpensive, but the downside of developing web apps is that these are less intuitive, inaccessible through app stores and can be slower at times. Your users cannot even download your web app’s icon to their home screen. As the word native suggests, these apps are for specific devices. Well, native apps are what strikes first in our mind whenever we think of mobile apps. The iPhone Apps are written in Objective-C, whereas developer writes the Android apps in Java or Kotlin. Pros: Considering the user experience, a native app is the quickest and most reliable. It even interacts well with all of the device’s operating system features as well. Con: To develop a native you must have a bigger budget. A Hybrid app is a combination of both web and native application. You can publish the Hybrid apps on the App Store or Google Play Store, and they can also interact with all of the device’s operating system features as well. Like any mobile web application, hybrid applications can also use cross compatible web technologies. Pros: Hybrid applications are faster and easier to develop as compared to native apps. Hybrid apps has a single base, which means you can add new functionalities to various version of your app, unlike the native apps where you have to replicate each new feature you want to introduce on each platform. Hybrid apps are low on maintenance as well. Cons: However, the speed of the hybrid apps entirely depends on the rate of users’ browsers which means that the app will never run as fast as the native apps. So, to make the right choice, you must understand the differences among all the options. Mobile web, Native or Hybrid applications each have their pros and cons, and your final decision should depend entirely on your idea. Identify whether your app would just get released on iOS or other platforms such as Android. Choose the platform which would bring a large chunk of an audience to your app and help it get recognition. A couple of years ago, there were various mobile operating systems on the market like RIM, Symbian, Microsoft, JAVA, iOS, Android and more. But today only the iOS and Android are the two platforms that are ruling the app market. Meanwhile, the iOS platform became stable, while on the other hand, the Android skyrocketed in 2009. Now both Android and iOS together represent the 99% of the mobile operating system market share. While Android is popular in India, China, Africa, the Middle East, Russia, Eastern Europe, South, and Central America. iOS dominates the United States, Australia, Japan, Canada, and Western Europe. Therefore, you should go for the operating system that will be best suited for your crucial market. If your target audience is in North America, Japan, Western Europe then you must go for iOS development. You never know what your app may look like when you take it to the market. The apps which are more straightforward, easy to understand, and crazy are the one that brings more money. For once, it might seem to you like a small project with no value at a large scale or in the long run. But, if it’s what the users are looking for, then you can generate millions of dollars in revenue from it. Digital products are not like physical products which are easy to maintain in the daily market. Mistakes can occur and can be resolved quickly by providing updates regularly. You can reach out to people and listen to what are they expecting from you. Myth buster: Sources suggest that developing an app for the iOS platform is cheaper than developing an app for the Android platform. That’s not true though! It can be more likely to ask what is the cost of the house and then it comes in a variety of shape, color. There are chances that you spend pounds and get nothing in return, or you invest some amount and get huge in return. How successful it can be all depends on you and the efforts you put in. Still, the cost of developing an app depends on many factors. Features that holds a significant place are the attribute and elements/ functions within the app. Along with these factors mentioned above, one factor that majorly affects the cost of construction is the physical location of the Enterprise App Development Company and the app developers. The U.S/U.K based developers charge around $70-$250 per hour, Eastern Europe based developers cost around $50 to $150 per hour, but the companies and developers in India provide the most reasonable cost which is $20-$70 per hour. Therefore, top mobile application development companies in India will offer the most reasonable rate for transforming your idea into a full-fledged mobile application. Do you think your work is over after you successfully launch the app in the app store? No, the competition in the market is very high, and everyone is competing with each other. So, you will need to update the app regularly. List down everything in a notebook and then re-visit the diary after a week. Talk to your friends or family regarding this, and then you would be ready to put down your ideas and give them direction. It becomes highly essential that others support or provide you with their views and opinion on it. Although it might require a lot of efforts, once successful, it will help you make huge revenues out of it. Flutter vs. react native- which mobile development framework to choose & why?